August 25, 2017. Baby Tooshy, a full-service, natural baby products design and development company that works to fill a void in the toddler and infant industry around the world today, this week excitedly announced their brand-new product, the Baby Tooshy Diaper Caddy Organizer. It is officially available for purchase on Amazon.com. 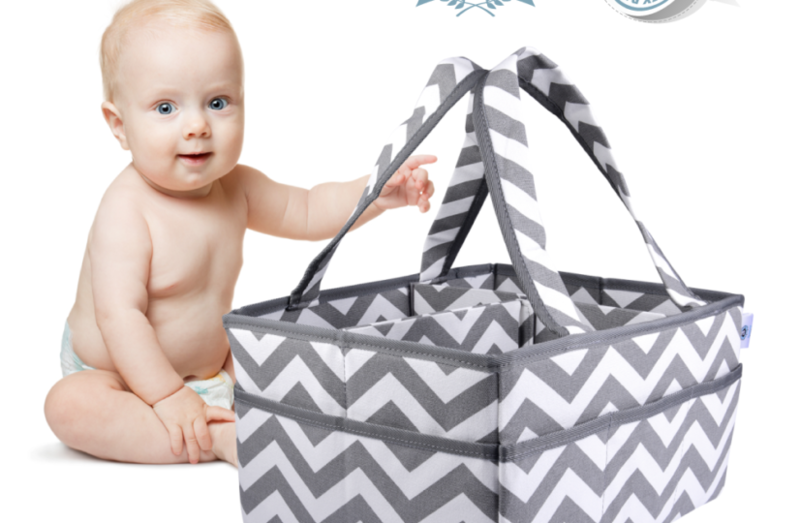 Designed to be a durable, long-lasting, and eye-catching alternative to most of the caddy organizer products on the market today, Baby Tooshy set out to design a product that is spacious, lightweight, and able to withstand the crazy days of raising children. Made with heavy-duty cotton and strong baseboards, the Baby Tooshy Diaper Caddy Organizer can be easily cleaned. In addition, the baseboard structure ensures that parents can grab the entire bag with just one hand using the installed handles. It’s also foldable for easy storage on the go.